KES is providing environmental management services during construction of Sound Transit’s 3.15 mile light rail extension project, which will run between Downtown Seattle and the University of Washington near Husky Stadium. 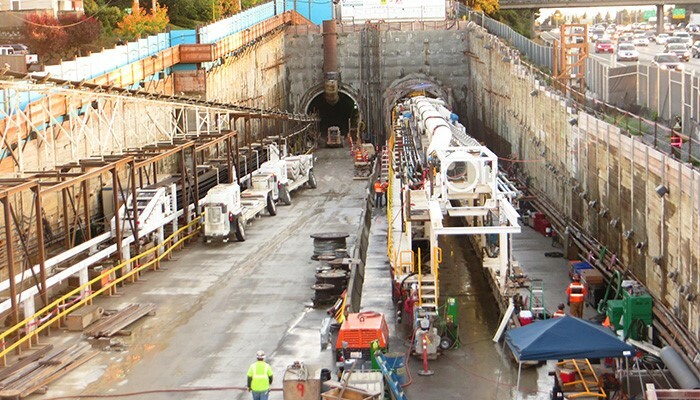 The project consists of digging twin bored tunnels along the rail route with the construction of two stations at Capitol Hill and the University of Washington. KES is responsible for planning for and managing site conditions to reduce the impact from stormwater, erosion, noise, dust, and other concerns. Onsite personnel install and operate systems to efficiently and effectively comply with all requirements.